Skype Premium—a term still used informally, despite that it's no longer technically a billing option—is a class of service for Skype that gives you more than what you get with the free Skype that most people use. The free service is a Skype-to-Skype environment, which sometimes provides a challenge to users because not everyone you contact uses Skype or is available on Skype to take your VoIP call. 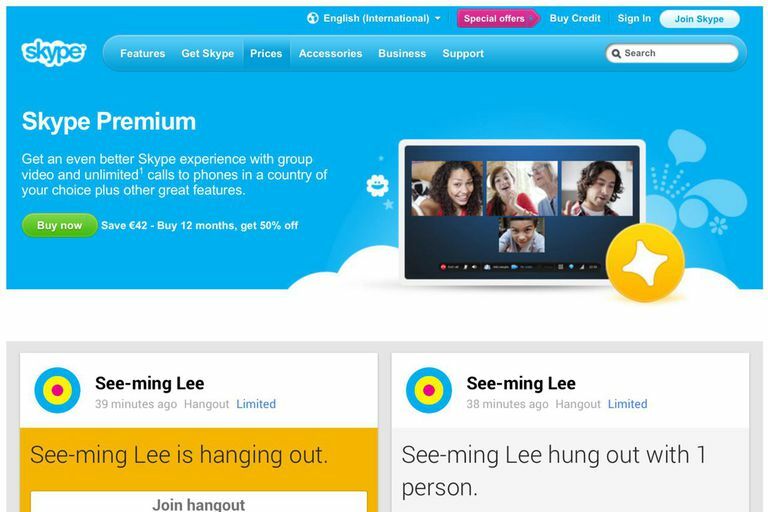 Skype Premium is a generic term referencing a series of subscription services that ease some of these restrictions. Who is a Skype Subscription For? These additional features support specific use cases. Although Skype is not a replacement for home phone service and cannot be used to locate you if you call an emergency-services line like 911, you can use Skype as an alternative phone number. A subscription to the Skype to Phone ​service features different amounts of minutes and destination countries for a variable monthly service charge. For example, unlimited calls to mobile and landline devices in the United States costs less than the same plan for all of North America, which itself is half the cost of the plan for unlimited calls to mobile in eight countries and landlines in an additional 55 countries. Alternatively, the purchase of Skype Credit allows for calls to cellular and landline calls around the world. Pricing differs by country; you can call for as many minutes as your credit balance allows relative to the cost of the country you're calling. Begin with a subscription. You can select a phone number anywhere where Skype is supported. Significantly, in the United States, you can pick your area code and city, which is useful to help friends and family in a different part of the country call you without incurring long-distance charges on their landlines. After you pay for your particular subscription, your Skype app (available for iOS and Android on mobile and Windows, Mac, Linux and Xbox on the desktop) will incorporate a dialer. Use that dialer for your Skype-based calls. Depending on the platform and operating environment, Skype can hook deeply, including integrating with the device's native dialer. For example, the Windows 10 Mobile platform, although now obsolete, treated Skype calls as if they were native cellular calls.